Following the recent departure of graduating athletes Leonard Santillan, Kib Montalbo, and the trio of Kim Dy, Majoy Baron, and Dawn Macandili, among others, after exhausting their years of eligibility playing in the University Athletic Association of the Philippines (UAAP), the Office of Sports Development (OSD) and University Chancellor Br. 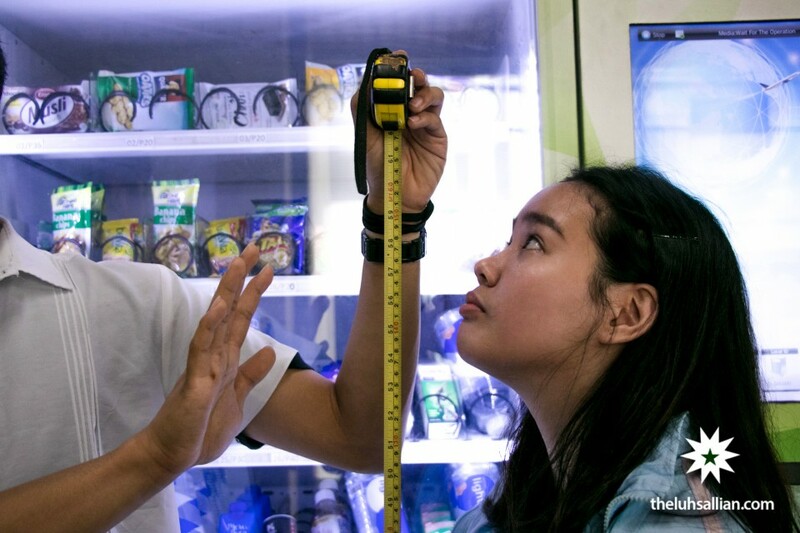 Bernie Oca FSC recently announced the soon implementation of a new UAAP height qualification policy in DLSU. The said policy aims to ensure the higher probability of acquiring “more UAAP-like” recruits from the studentry. To take effect on the third term of Academic Year 2018-2019, the policy targets to automatically recruit students with a minimum height of 5’7’’ to be athletes for the University. Considering its impact, The LaSallian sat down with Oca and OSD Executive Director Emmanuel Calanog to discuss the “sudden” change. Based on a research in 2017, the average height of Filipino athletes was recorded to be at 163 centimeters, roughly around 5’3’’ only. According to Calanog, this was used as the benchmark for the said policy, all while contesting that as Lasallians, we should “aim higher.” “Go big or go home; I am confident that some Lasallians and future Lasallians are not just blessed with the resources to enroll in this institution but as well as the height tall enough to be athlete-like,” the OSD Director reiterated. Oca supported this sentiment and disclosed that having worked closely with OSD even in the past got him involved in the development of the initiative. The Chancellor explained that the height qualification policy has been in development ever since the graduation of Ben Mbala, former Green Archer labelled as “god tier” due to his performance and size. “It’s the game plan; it has always been. Strategically speaking, if you have the height already, you’ll only need to hone the skills. At least this way, we’ll only have to look into one factor of what it means to be a Lasallian athlete instead of two,” Oca debated. The policy, according to OSD, will serve as an advantage for La Salle to recruit possible athletes faster, with height concerns no longer a problem soon. However, as a result of its soon implementation, current athletes for the Green-and-White recording with a height below 5’7” will instead be made reserves for their respective teams to give way to the taller population. Due to the policy, if students would opt to transfer to other universities and colleges where their talents may be more “appreciated”, the University, according to the Chancellor, has already made previous arrangements with De La Salle-College of St. Benilde (DLS-CSB). “We’re concerned of course for our shorter students, that’s why we’ve coordinated already with DLS-CSB in case they want a ‘change of allegiance’. If our students would opt to transfer there instead, admission process will be much simpler,” he remarked. From the other side of Taft Avenue, DLS-CSB also raised concerns on the magnitude of students that may opt to transfer there. “Although the admission process for student-athletes coming from DLSU will be simpler, the challenge is being able to accommodate the volume of transferees.” shared Chancellor Br. Dennis Magbanua FSC. Despite backlash and criticism on the radical policy, Oca and the OSD remain stern on its implementation. “We are very confident that this new policy will get us results. The next Ben Mbala is out there somewhere, and we will find him,” Calanog fanatically expressed. “La Salle’s winning tradition will experience an epoch, marking the beginning of a new dynasty,” concluded Oca.